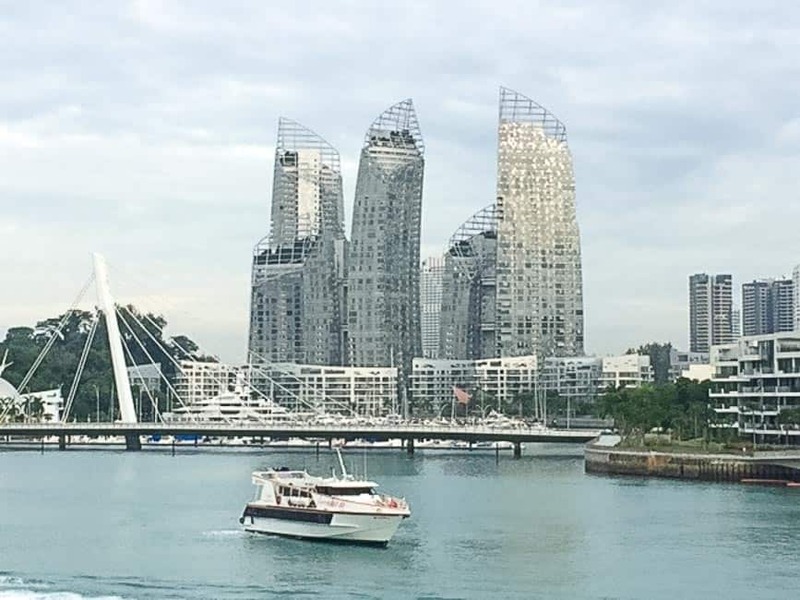 While I’m certainly no expert on Singapore, the world’s only island city-state, I am amazed at how much we did and how many of the major sites we saw in just two days. 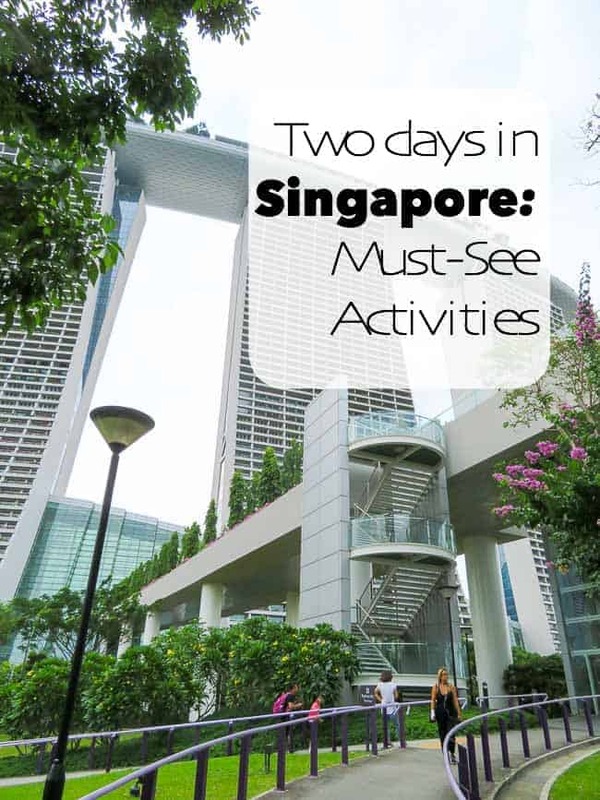 If you find yourself with only a couple of days to see this incredible city in Southeast Asia, read on for this quick guide to Singapore: Must-See Activities. 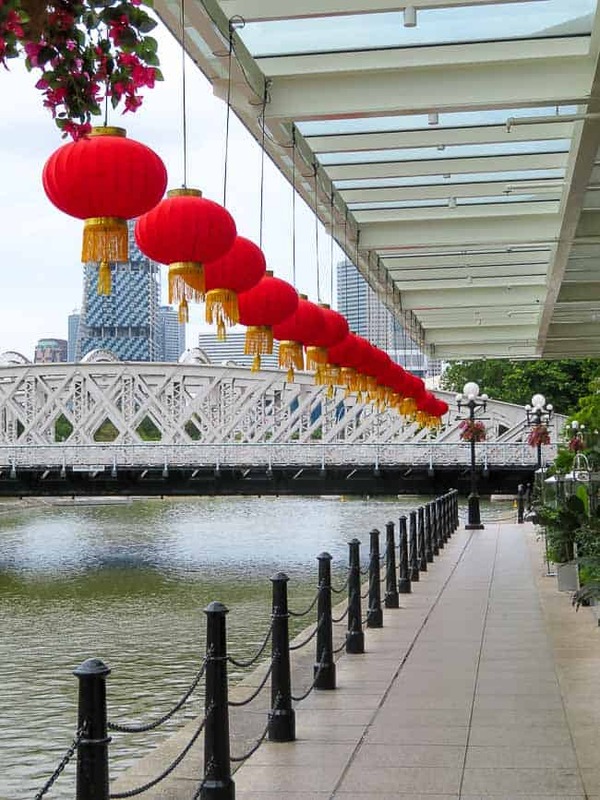 Before you head out to explore this exciting city, the first thing you should do is get a Singapore Tourist Pass. 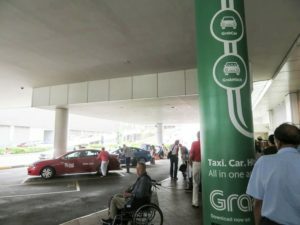 It gives you unlimited travel on public buses, MRT and LRT. These are available in 1-day, 2-day or 3-day passes. While there is a $10 rental charge for the card, you’ll get that refunded when you leave the city. We received a quick and efficient refund at the airport. Or, if you need a taxi to get to your hotel first, head straight out the door and get in the queue. 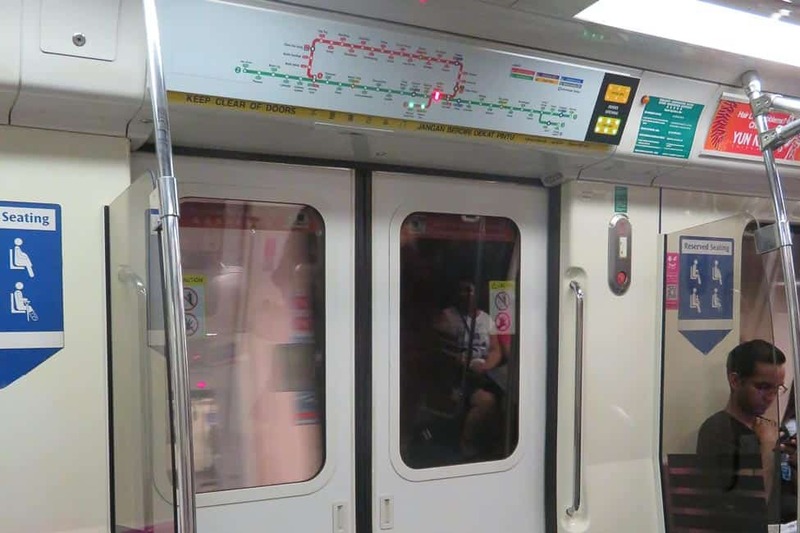 Singapore’s Metro System is scrupulously clean and easy to use. Pick up a metro map when you get your Tourist Card and plot your way to the sites you want to see. And remember: Singapore is clean for a reason. Fines for littering, chewing gum, or eating or drinking on the metro are steep. 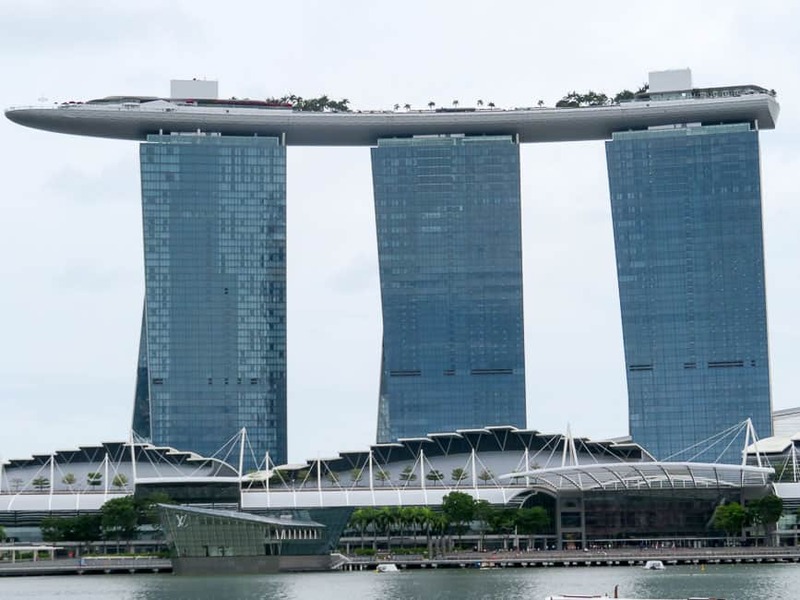 Marina Bay Sands Resort dominates the skyline. It’s a spectacular structure that houses a casino, a mall, a convention centre, a museum, theatres, restaurants (including ones from Gordon Ramsay, Wolfgang Puck and Mario Battali) and a skating rink. Most incredible of all is the world’s largest infinity pool on the SkyWalk on the top of the building. While the pool is only accessible to hotel guests, you can take a (very fast) elevator to the Observation Deck on the 57th floor to see the amazing view of the city. At $23 each, it seemed like a very expensive elevator ride, but it was worth every cent. 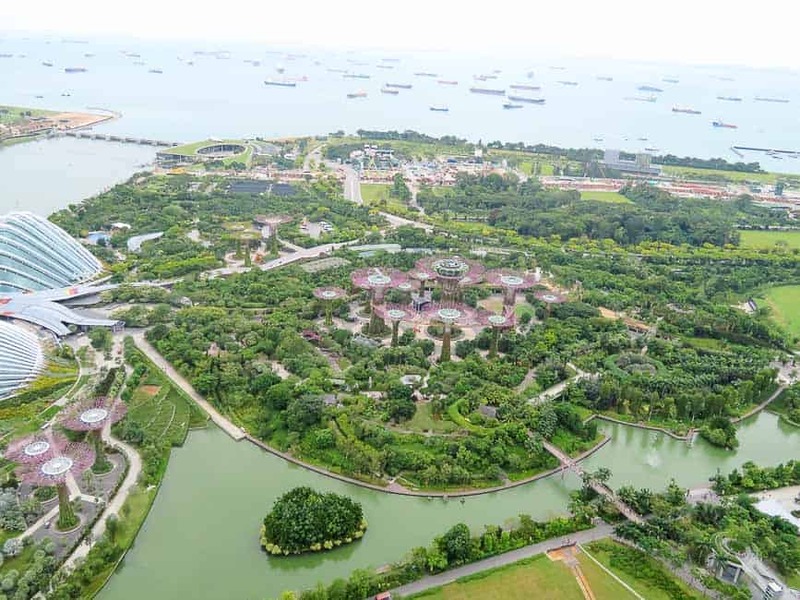 From the top, there’s an incredible view of the Gardens by the Bay. 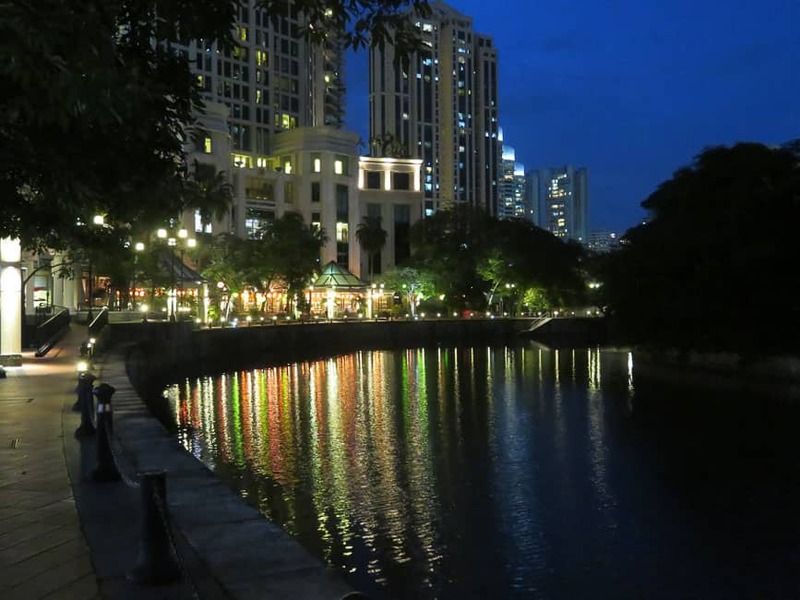 Singapore prides itself on the amount of green space in the city. 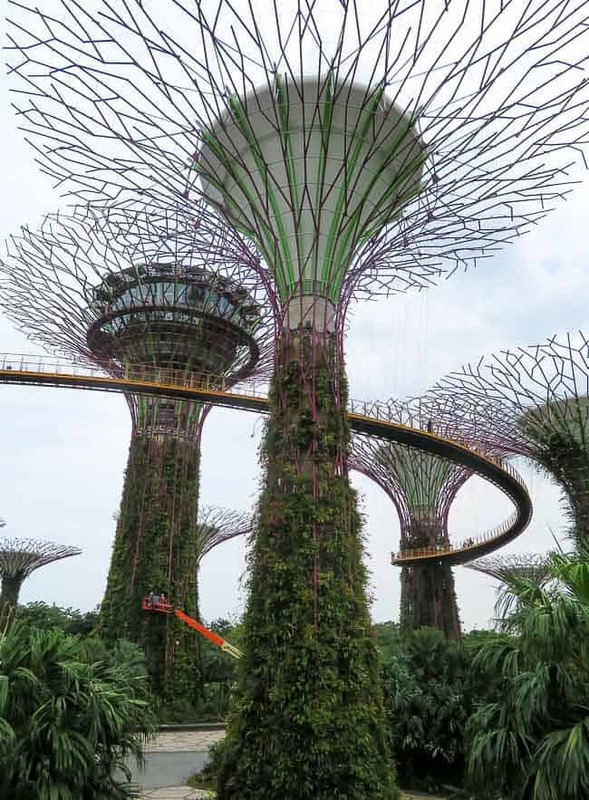 Allow some time to wander through the Gardens by the Bay, and see the Supertree Grove. This grove of 18 solar-powered “trees” form an impressive 50 meter high canopy. They’re actually vertical gardens that generate solar power, act as venting ducts and collect rainwater for the conservatories in the gardens. You can walk between the trees on “skywalks” to get an even better view. 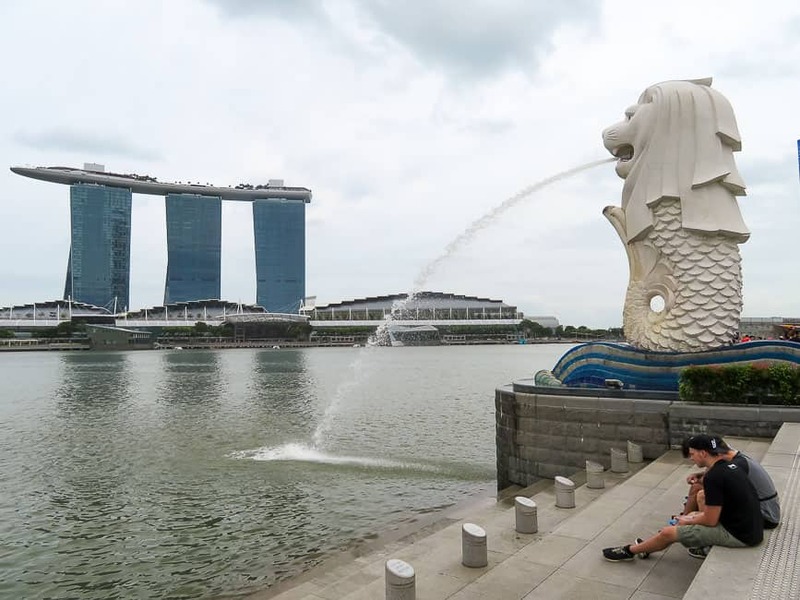 Join the crowds, cool down and relax on the waterfront near the Merlion. 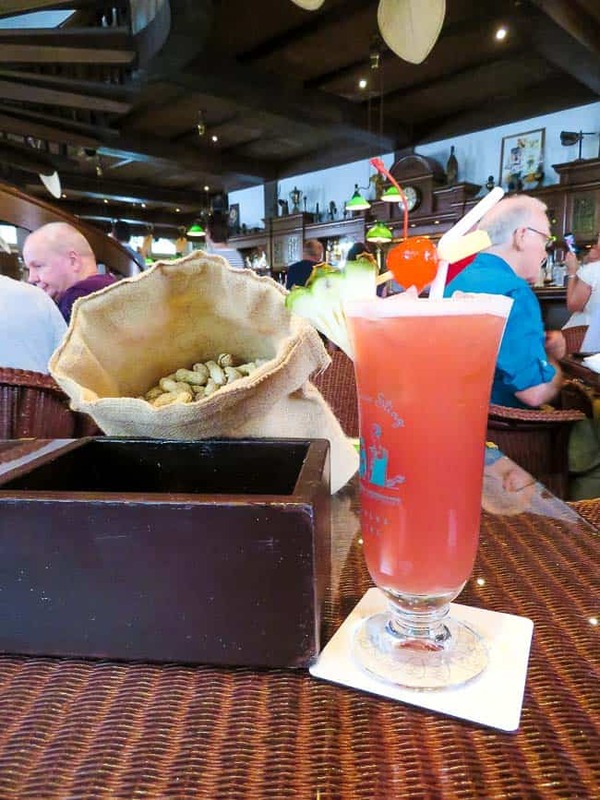 Head to Raffles Hotel, built in 1867 built by the founder of Singapore, Sir Thomas Stamford Raffles. 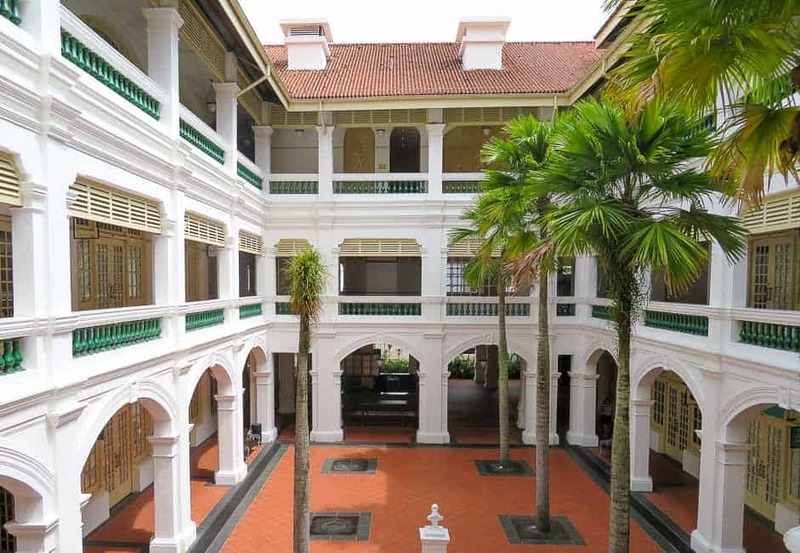 It’s a beautiful colonial-style hotel that also houses a shopping arcade with boutiques and restaurants. Singapore is hot and often humid, so this is a great spot to get out of the sun and cool down. But the best part? 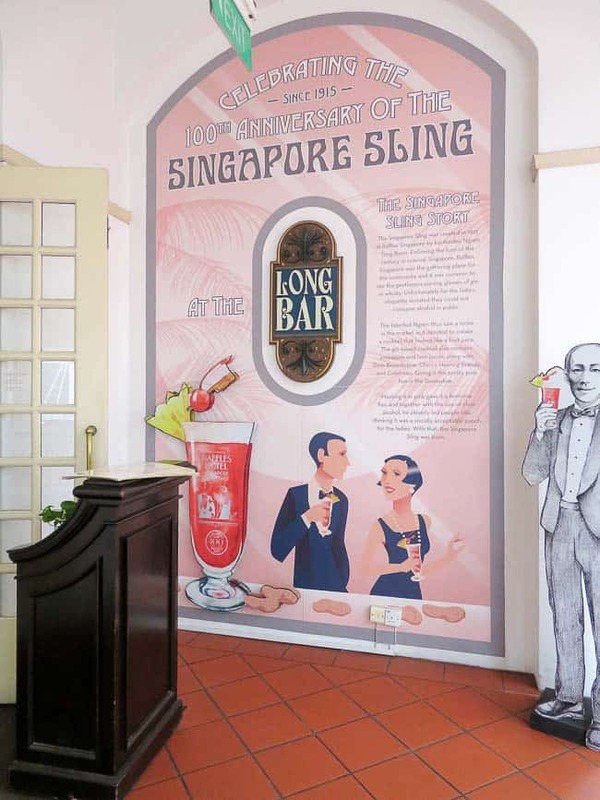 The Long Bar where you can order a Singapore Sling, the city’s national cocktail that was invented here! 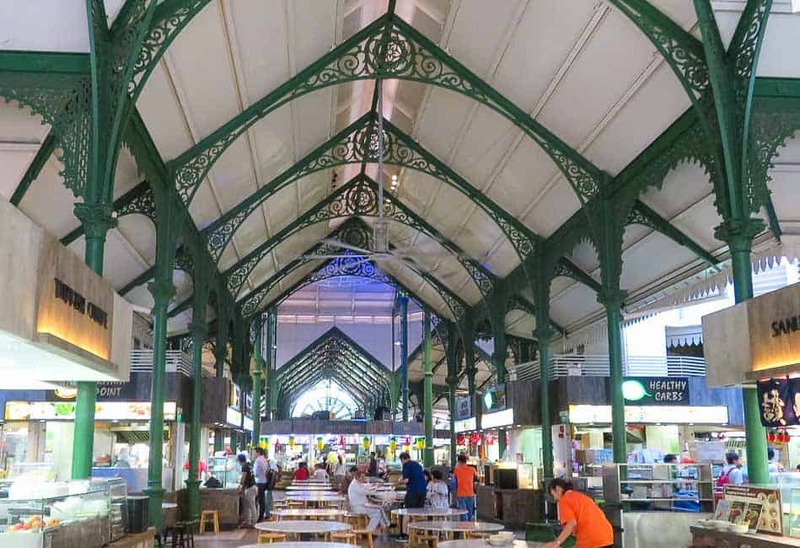 Grab a meal at Lau Pa Sat, a hawker’s market serving Asian specialties with everything from Tom Gai Soup to Chili Crab. 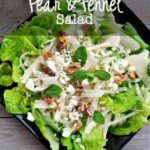 While it’s not 5-star dining, the food is fresh, tasty and reasonably priced. 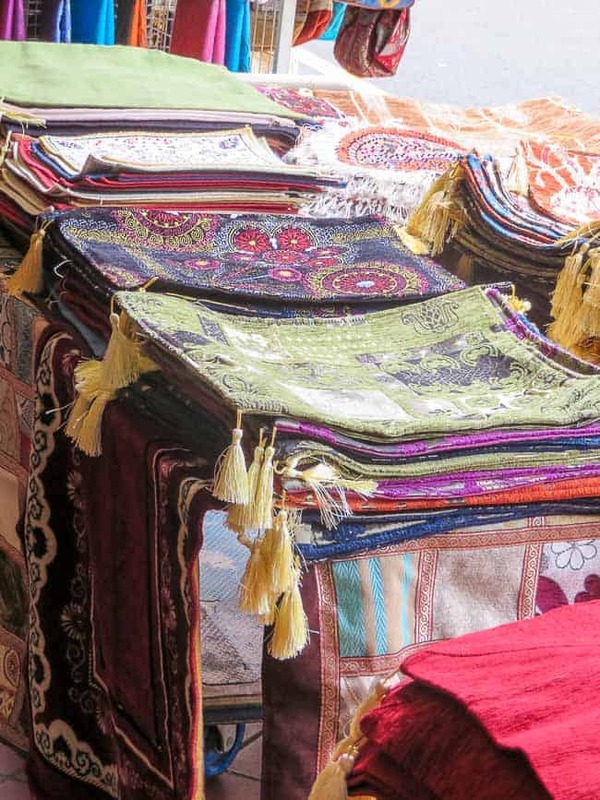 Head to the Arab District and browse through the richly-coloured tapestries and fabrics. 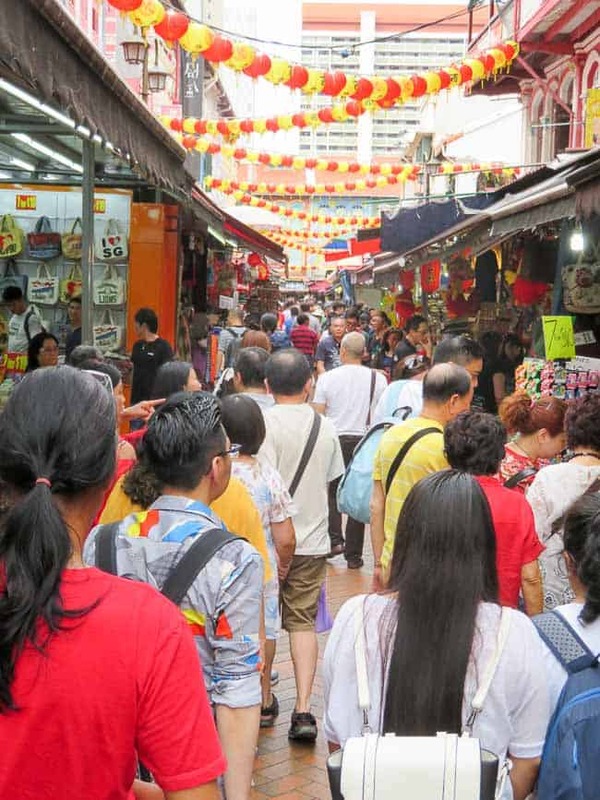 Don’t miss the markets, shopping opportunities and crowds in Chinatown‘s narrow streets. 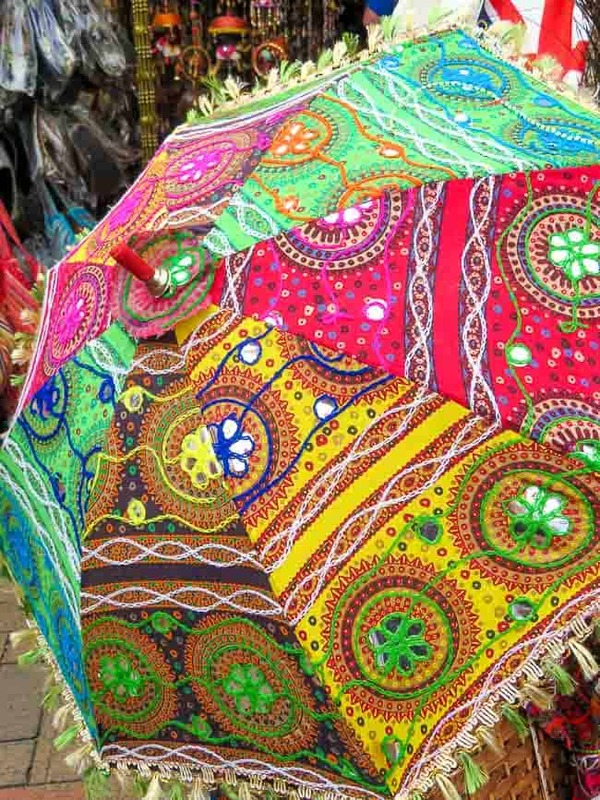 If you have time, head for Little India too. Take a break at one of the many pubs along the Riverwalk. 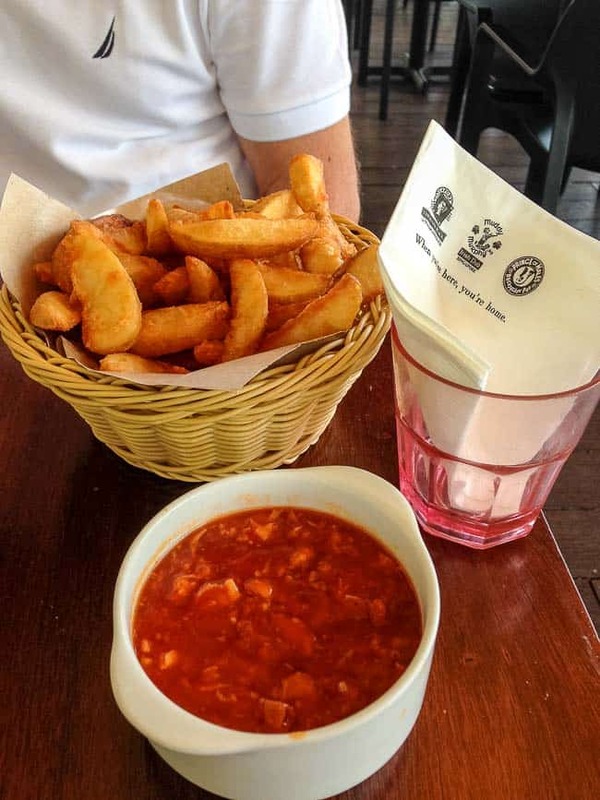 Chili crab is a local specialty, or try the chili crab dip with a local beer. And if you love to shop, this is the city for you! 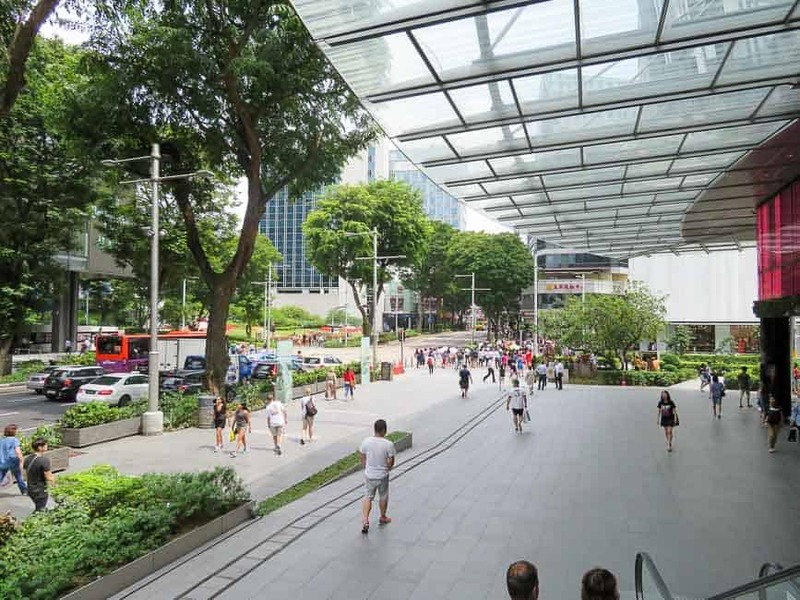 Orchard Road is a shopper’s paradise, with every high-end store imaginable. 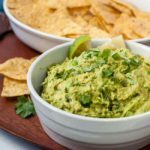 You won’t be fighting the crowds on this street. The sidewalks are wide, covered, spacious and clean and the malls are spotless. 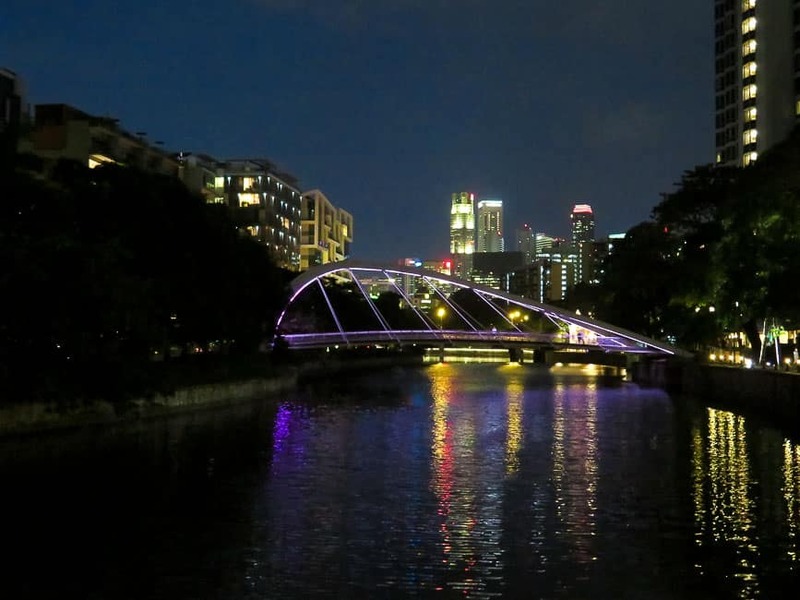 Singapore is truly a spectacular city. 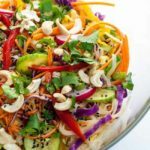 It’s cultural diversity adds to its appeal. 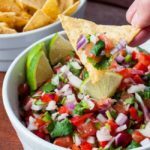 You can “travel” to many part of the world, sampling their products and their cuisine, all without leaving this island city! 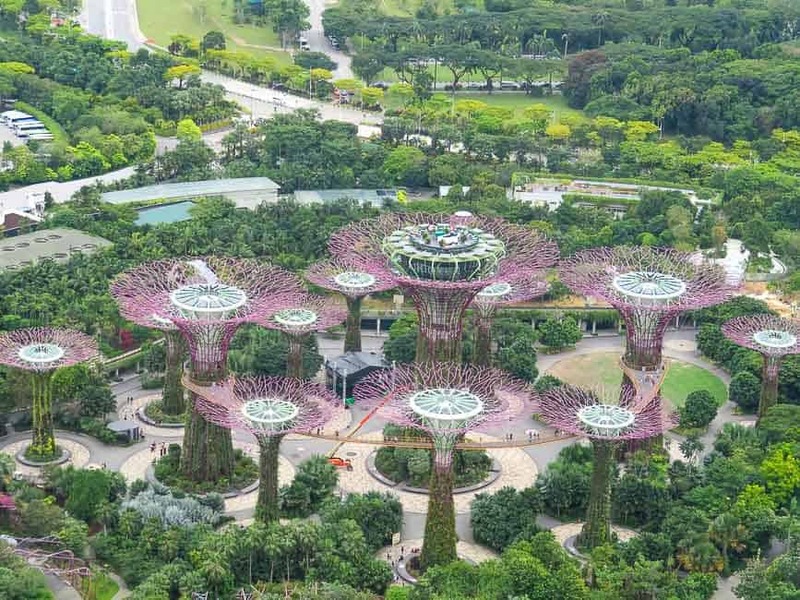 Stunning architecture, parks and gardens, fabulous cuisine, (and even a Universal Studios theme park), Singapore seems to have it all.